Although Inland started with only four school teachers working part time in 1968, the Company has evolved into an organization of more than 1,000 dedicated Inlanders that exercise our core values of integrity, expertise and innovation every day. Learn more about the people, memories, achievements and insights that shape and define the success of Inland. Come back often and get to know each Inlander by clicking on a pictured profile below. 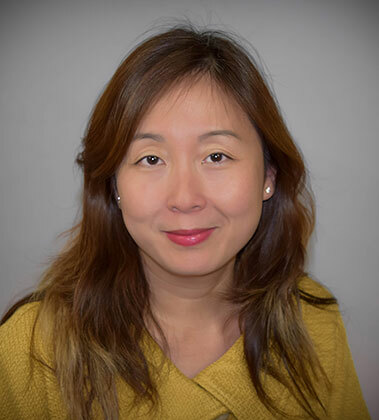 Agnes Fong joined The Inland Real Estate Group, LLC as the Director of Tax in July 2018. In her role, she is responsible for overseeing the corporate and investments funds’ tax function. Agnes also provides tax advice in the structuring of new investments and maintains tax compliance. 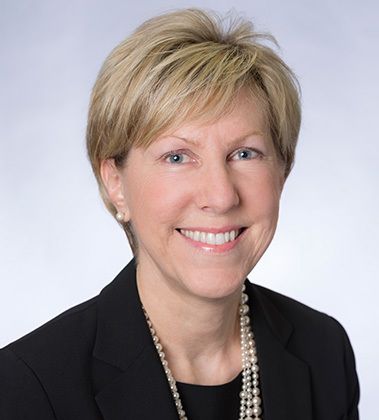 With 15 years of experience in the commercial real estate industry, she previously held positions with LaSalle Investment Management and Care Capital Properties. Agnes reflects on her career and shares her insights. How did you first become interested in the commercial real estate industry and what led you to Inland? My first job out of college was with a local public accounting firm and I worked with the tax partner who managed the most real estate clients within the company. As a result, I worked with a variety of real estate companies in the development, construction and investment areas. I really enjoyed the work and for the next 11 years I worked for LaSalle Investment Management as the national director of tax. At LaSalle, I was exposed to many more investment structures both domestic and global. While at LaSalle, I earned my MBA from DePaul University with a concentration in real estate finance and investment. Following LaSalle, I took the tax director position at Care Capital Properties and in early 2018, the company was bought out by another REIT. I learned of the tax position at Inland soon after the merger and here I am! To build the tax function from scratch at Care Capital Properties (“CCP”). CCP was a newly spun off publicly traded REIT and I had the opportunity to “design” my position, drawing from my past experiences with other companies. If you want to be a valued real estate tax advisor, it is not enough to only understand the relevant tax codes, you need to understand the economics and operations of the real estate industry. What was the biggest life lesson you learned? Have you received any certifications or accreditations? I have earned the Certified Public Accountants (CPA) certification. What are your favorite hobbies, activities and ways to enjoy any free time? I enjoy cooking, traveling and going to see plays. 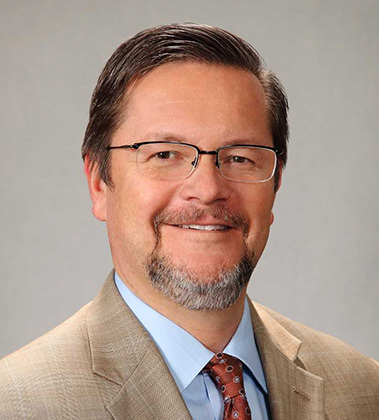 In Paul Montes’ role as Senior Vice President of Inland Real Estate Commercial Brokerage, Inc., he is responsible for acquisitions and dispositions of investment and development properties. Here he shares his insights, favorite memories and accomplishments during his 12-year career with Inland. Do you have a favorite memory from your time at Inland? I have many favorite memories working at Inland and fortunately they happen often. I enjoy the thrill and nuances that come with closing deals, and every deal I’ve closed has become a favorite memory. My greatest professional achievement is that I have been a commercial real estate broker at Inland for 12 years and survived all the economic cycles, including one of the greatest recessions. My biggest challenge is waking up every day knowing I have to get the deals done to ensure I have a salary. It’s the continuous hustle of my job that is both challenging and rewarding. As a broker we can influence a deal, but at the end of the day, the buyers and/or sellers have final say in how a transaction plays out. If you could give the next generation of Inlanders one piece of advice, what would it be? Thousands of people have contributed to Inland’s success over its 50-year history and are a wealth of knowledge. Asking questions and listening to those who’ve been there and done it before is the key to future success. This year, Amy Scheiden is celebrating her ninth anniversary with Inland. As Assistant Vice President of Claims and Loss Control, Amy provides claims management and loss control services for all companies that are part of The Inland Real Estate Group of Companies, Inc. She is responsible for facilitating property, liability and workers’ compensation insurance claims, conducting risk and safety assessments, analyzing and distributing loss information, providing insurance training, managing external claims vendor partners and serving as a backup for due diligence. Amy reflects on her experience and shares her advice. What have you enjoyed most about working at Inland? Working for a service entity allows me to work with all companies that are part of The Inland Real Estate Group of Companies, Inc. I enjoy learning the different segments of our business and working with each of the business units. I also work with great people, which certainly makes my time at work more enjoyable! I am proud of the overall development of my career rather than one specific achievement. My background is well-rounded having worked for an insurance company, insurance brokerages and as internal risk management. The positions I have held during my career have allowed me to gain experience handling claims in multiple lines of coverage and throughout many different industries. When I am faced with big challenges, I take the time to engage the right resources to make sure I have the facts and support required to facilitate decision making. Speak up when you want something or feel strongly about your position but be prepared and have the information to validate it. What is your favorite Inlandism? Be unwavering in doing what is right and not what is easy. Consider constructive criticism as an opportunity to identify your weaknesses and use it as a tool for your personal and professional growth. Receiving feedback from your managers and coworkers will help you improve your performance and meet expectations. 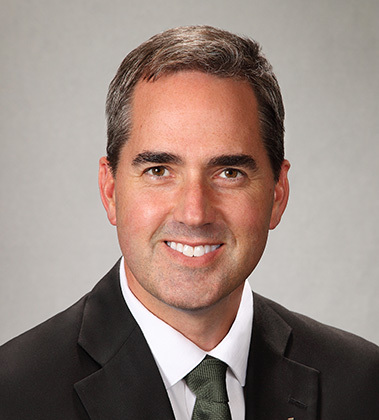 As Vice President, Director of Investor Reporting of Inland Private Capital Corporation, Jim Carlston oversees a staff of five accountants that are responsible for the preparation of more than 160 quarterly operating statements and year-end tax statements to over 12,000 investors. Celebrating 33 years with Inland, Jim has his Lifetime Achievement Award proudly hung on the wall in his office, where others can see the appreciation Inland has for its long-term employees. He shares his memories, insights and advice. While I enjoy working with my fellow employees, the main reason I’m still with Inland is because of its professionalism and reputation of putting the investor first. I’ve seen letters from investors, sales reps and real estate brokers that talk about Inland’s ability to get the job done. In 2005, Inland Private Capital Corporation, which was Inland Real Estate Exchange Corporation at the time, and Inland Real Estate Investment Corporation changed their fiscal year end from June to December and made additional accounting changes that complicated the preparation of year-end financial statements. I had to keep my focus on completing this project, which included working late into the night and weekends for an extended period of time. Always keep your long-term goals in mind. I have two lessons that I’ve learned while here at Inland 1) always treat people with respect and 2) you need to have a quality work/life balance. Did you receive any awards or accolades during your career with Inland? I passed my CPA exams early in my Inland career and received my Lifetime Achievement Award. 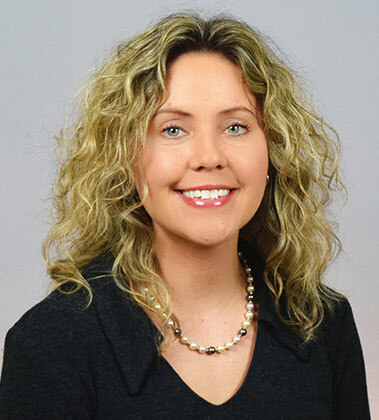 Jennifer Book joined The Inland Real Estate Group, LLC’s HR Department in November 2018. As the Recruiting Manager, Jennifer works closely with the recruiting team and various businesses to provide support and guidance for the acquisition of talent. Previously, Jennifer worked in talent acquisition for Caesars Entertainment in Las Vegas, at a tribal casino in San Diego and at Sears Holdings. Here, Jennifer shares her greatest professional achievements and career insights. My greatest achievements have been helping others. My proudest moments have come from watching others succeed, whether it was teaching someone terrified of water to swim, watching an intern grow into a VP or even just giving someone their first job in the U.S. on their birthday. I have always been humbled by the fact that I get to impact and touch so many lives. The best advice I have received is that the answer is always no if you don’t ask. Have you received any awards or accolades during your career? I received the Hedgehog Award at the Rio All-Suite Hotel & Casino for my community service involvement with the organization and outside of the company. I also received the Chairman’s Award for creating and executing the regional internship program for Caesars Entertainment. I’m currently pursuing my MBA with an HR Concentration. Are you involved with any professional organizations? I’m involved with the Society for Human Resource Management. In my free time, I enjoy doing things with my two girls (three and six years old). I also like to read, do yoga or Pilates, crochet and bake. 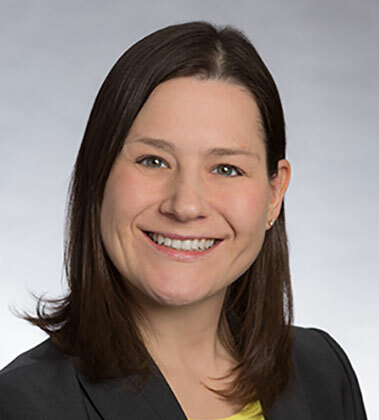 Most recently promoted to Assistant General Counsel/Securities, Cassie Hrtanek is responsible for advising all securities entities within the Inland organization, including Inland Real Estate Investment Corporation, its sponsored investment vehicles and Inland Securities Corporation. In her role, Cassie supervises all outside securities counsel as well as in-house attorneys and their administrative staffs who are involved in securities matters. She also works on a variety of corporate matters including cybersecurity and technology initiatives. Here, she shares her favorite memories, advice and insights from her 13-year career with Inland. I would say my greatest professional achievement was my work on Inland Diversified Real Estate Trust, Inc. It was the first REIT that I worked on from start to finish. It was very satisfying to work on that project from the inception of the concept to registration and through capital raising, deployment and a successful liquidity event. A few years ago, the non-traded industry was faced with new regulations regarding fund valuation and account statements. The regulations forced us to revamp our approach to structuring, valuing and presenting our funds to investors. With teamwork, communication and focus, we were able to adjust to the new regulations and continue to provide competitive products to the marketplace. When we were selling Inland Diversified, I was working late on a weekend. One of Inland’s founding principals, Mr. Goodwin, was driving by the office and noticed that my office light was on. He came up to my office and insisted that I finish up working and he and his wife drove me from the garage to my car, which was parked further out in the parking lot at the time. It was such a thoughtful thing to do at a very busy time. Build your Inland network across our various companies and departments. Having support from a wide-range of places will benefit you in the long-term. Celebrating 18 years with Inland, Emily Sanders has always worked in the marketing department in various capacities and with a multitude of responsibilities. 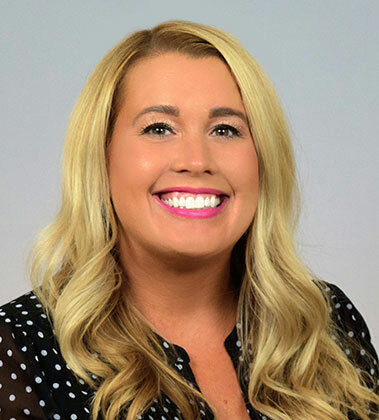 As the Marketing Coordinator for Inland Residential Real Estate Services LLC, Emily is responsible for online advertising and marketing for Inland’s apartment communities, as well as event planning for the Company’s annual education conference. Emily reflects on her time with Inland and shares her favorite memories and advice. The knowledge that I have gained and continue to develop, as marketing is a fast-paced and ever-changing field. There is always a new strategy, up-and-coming product or revised approach to marketing. I have many great memories and I have met some fantastic people over the years. I’ve learned so much about marketing, working as a team, the business world and taking on new responsibilities. I truly appreciate all that I have gained, but how many people working in real estate can say that as part of their job they have performed as a Gondolier, the Statue of Liberty and even Wynonna Judd? It’s all in a day’s work. Best advice: always be curious about your industry. Best mantra: have fun and be kind! When it comes down to it, this really is a small world. You should always conduct yourself in a professional manner because you just never know who you will run into. Many years ago, I was on an organized bus trip to Milwaukee for a Cubs/Brewers game. In conversation with a gentleman on the trip, I discovered that he was an investor with Inland and sat on the board of directors. I received a “Beyond Excellence Award” my first year on the retail side and “Employee of the Month,” but nothing compares to the feeling of a standing ovation. For two years running, in appreciation for my work on our annual education conference, our site management teams have brought me to tears. It makes all the long hours worth it! Care about your work, it will show. And greet fellow Inlanders in passing. It’s important to network with other employees. Michael Pecken has been an Inlander for more than eight years and says the biggest life lesson he’s learned is “people before profits.” Currently serving as assistant vice president, internal wholesaler for Inland Securities Corporation, Michael is responsible for product and sales support for Inland’s independent advisor partners. He shares more insight on his experiences and reflects on his favorite memories from his time at Inland. The integrity and family atmosphere the four founders created and continue to nurture. I know that the founders feel a sense of responsibility for every employee, which is the reason people dedicate their lives to working here. When I joined Inland in 2010, I had the honor and privilege of working with Fred Fisher, who was the national sales manager. Fred led by example, he called advisors all day and did road trips frequently. He would do anything he could to increase sales and always left people laughing. When Mr. Goodwin created the Business Development team, they were struggling to get appointments. Fred Fisher convinced me to join the team and help everyone get comfortable selling Inland. We helped raise millions of dollars and fueled the miracle push to get Inland Diversified well over one billion dollars in capital raise. Bob Parks convinced me to move back to Illinois and take the Series 7 and 63 tests to become a registered representative. I believe Bob was surprised I passed on the first try, but I worked very hard to reinvent myself. Make every call with a smile on your face – the person on the other end will feel it. Our investors always come first. Mr. Goodwin calls this a line in the sand that shall not be crossed. You are not accepting a job, you are joining the Inland family. Be kind to everyone, no matter their status, and you will be supported here. 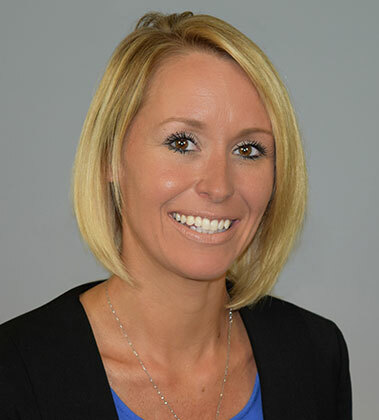 As a regional property manager, Jenny Rauen is responsible for the oversight of operations for seven Inland-managed multifamily residential properties located in Arizona, Connecticut, Maryland, New Jersey, New York and North Carolina. Here she shares her insights, favorite memories and advice from the three years she’s worked at Inland. I enjoy having the autonomy to make decisions and make a difference. I have learned a lot of different aspects of the business through collaborating with different departments. I would have to say that my favorite memory was my first day back at Inland in February, after I had left for three months to pursue a short-term opportunity. When I returned, everyone welcomed me back with open arms and my office was decorated. It felt like I never left and I am happy to be “home!" Advancing in the multifamily industry from a leasing consultant to a regional property manager. Handling multiple property closings simultaneously. I partnered my newly acquired property managers with seasoned Inland property managers as a way to provide them with mentors and help the new team members understand our Company’s processes. Don’t take it personal when people get upset. Do your best to diffuse the situation and remain positive. Get involved and interact with different departments. Spend time sharing new ideas with employees that have worked at Inland for a long time. 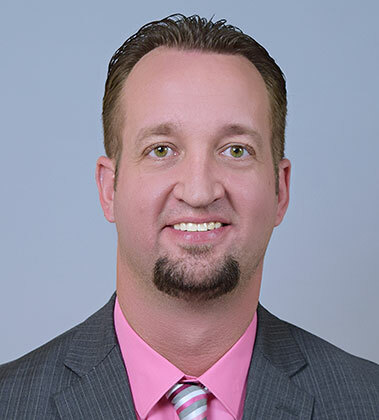 Throughout Phil Kane’s 17 years with Inland, he has worked his way up through multiple promotions and has held six different positions. 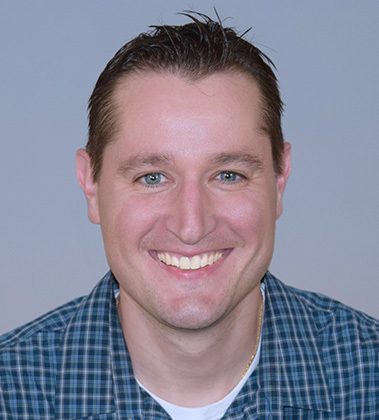 Phil started his career at Inland in Operations where he printed investor statements and distribution checks. In his current role as Manager of IT Infrastructure, Phil is responsible for all of Inland’s IT infrastructure, including servers, networks, internet, email systems and end-user software. He also serves as an escalation point for all technical teams. Phil reflects on his favorite memories and shares his advice. The people by far are the best part of Inland. Inland has a family-oriented culture where the employees are truly valued. I have so many fond memories working at Inland but some of the most memorable times are the company outings, picnics and Christmas parties where you can visit with coworkers and get to know them more on a personal level. During my career at Inland, I have received multiple technology certifications including A+, VCP and ITIL certifications. From a team perspective, the IT department has received multiple accolades such as CIO 100 and InformationWeek Elite 100. Don’t be afraid to venture outside your comfort zone and try new things. Don’t be afraid of change, embrace it and work hard to make it successful. 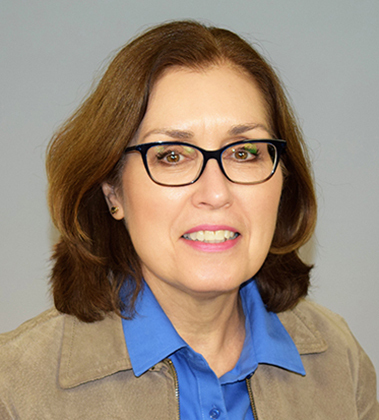 Marta Ayala joined Inland in 2016 as a temp in the accounting department and was quickly hired full-time and promoted to an accounts payable specialist, responsible for the accounts payable and receivable functions for Inland Real Estate Investment Corporation and Inland Securities Corporation. In her time with Inland, she has most enjoyed the fellowship among Inlanders and the approachable disposition of the four founders, which has given her an opportunity to network and develop great connections throughout the Company. Here she shares her favorite memories, advice and achievements. I have several, but something that really touched my heart, happened last year. I ran the Chicago Marathon (my 7th marathon!) and when I came back to work, there were flowers and a card from my supervisor on my desk. It felt so good! My team has always shown so much support in everything I do, both personally and professionally. Those moments of thoughtfulness are the perfect example of the kindness and fellowship cultivated throughout Inland. I came to this country with two kids, not knowing the language, and l'm very proud to have gone to school to learn English and get my GED (although I did attend high school and some college in Mexico). In 2000, I took some CIS classes and got my real estate license. I worked in real estate part-time while I kept my full-time job, all while raising four kids by that time. I am proud of my educational accomplishments that helped me excel in every position I’ve held, and I look forward to continuing to learn and grow within this great corporation. Keep learning, there is no such thing as luck. It is a matter of being prepared when opportunity knocks at your door. Be thankful for today, for a brand-new opportunity to make it your best. It doesn't matter if you messed up yesterday, today is your chance to make it great! Who is the most famous person you've met while working at Inland? I met Chicago sports legends Otis Wilson, Dan Hampton, Steve McMichael and Bobby Hull at the 2016 Jingle Mingle. I had a hilarious incident when Bobby let me try on his Championship diamond ring. We got so caught up talking and laughing that when I got up to leave, I had walked all the way back to my table only to realize that I WAS STILL WEARING THE RING! I got so scared and ran back to Bobby's table and asked him, “Are you missing anything?” He just laughed and said, “I didn’t even realize it was missing!” Everybody who saw and was around us was laughing! Don't be afraid of taking initiative and proposing more effective ways of performing your job. 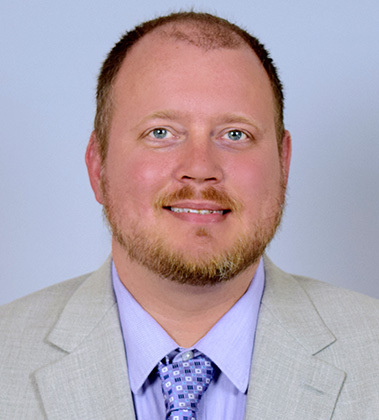 Inland Investment Real Estate Services, Inc.
As a regional property manager of Inland Investment Real Estate Services, Inc., Michael Behrens oversees 900 residential units throughout Wisconsin, Tennessee and Kentucky and supervises 21 employees throughout the portfolio. 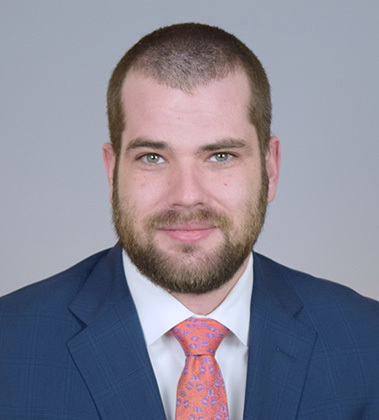 Michael started his career with Inland as a due diligence analyst on the acquisitions team and then went on to become a property analyst and assistant regional manager for the operations side of residential assets. A short seven months later, he was promoted to his current position as regional manager. Michael shares his stories and advice from his three years with Inland. I have enjoyed working with the team that we have at Inland. Everyone puts their best efforts and ideas forward to ensure we are not only growing but having fun while doing it. Outside of being Santa for our annual holiday gathering, my favorite memory has been at the annual picnics and social events that Inland throws for its employees! I truly enjoy the opportunity to network at these events. My biggest challenge has been acquiring the right team members in a particular market. The way I overcame this was to not settle to fill the position but to continue to search until I found the right person with the same work ethic and values that Inland upholds. One of my mentors at Inland told me to manage your team like you would want to be managed. The more respectful and honest to them the better outcome and team member you’re going to get! Always look at every situation from a few different perspectives. You can learn from every situation. 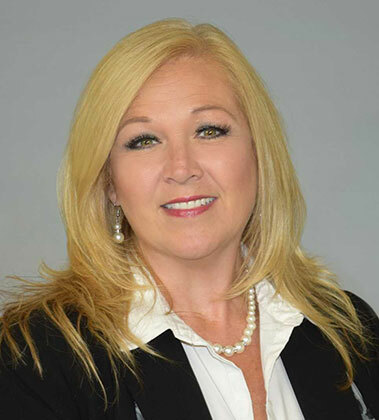 Tammie Kelley has worked for Inland for 14 years and currently serves as the senior accounts receivable specialist for Inland Investment Real Estate Services, Inc. 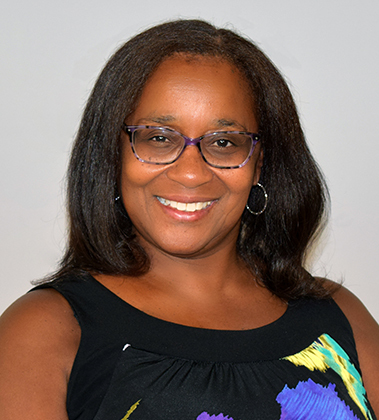 In her position, she is responsible for processing tenant rent payments, entering approved utility billings, common area maintenance (CAM) adjustments, direct recovery repairs and setting up new properties. Tammie shares her advice, achievements and insights from her career at Inland. I’ve enjoyed the managers that have supervised me and expanded my knowledge. I also enjoy my co-workers who I work exceptionally well with and even if I’m not in their department they reach out to me for advice and assistance. My greatest achievement has been being a part of implementing a new accounts receivable program and being able to assist tenants, my co-workers and supervisor when needed. My biggest challenge was stepping into a new position during a critical time in my department. I took on additional responsibilities and assisted my supervisor in making sure the department continued to run in an efficient manner. The best advice I received came from the manager who originally hired me. She told me to learn as much as I could because there were no limits to what I could do and that she would support me along the way. To not let any grass grow under my feet and keep moving in life. At Inland there’s always potential and room for advancement. Don’t just settle in one position. Pay attention, learn and grow. Celebrating 12 years with Inland, Kristie Moss serves as assistant vice president - senior property manager of Inland Investment Real Estate Services, Inc. She currently oversees a portfolio that consists of 9.7 million square feet, which includes a team of four property managers and three administrative assistants. Kristie reflects on her favorite memories from her time at Inland and shares her advice. I know it’s cliché, but I would have to say the people – particularly those I work most closely with. It’s nice to be able to take a break from the world of property management for a minute and be able to laugh and joke around. Each day is very busy so it’s important to clear your mind and try to reset. We travel a lot in property management and being able to visit all these places and take in the scenery, particularly out West, stands out to me. Also, I was able to tour the ESPN building we own in Connecticut. As a big sports fan, it was pretty exciting! When I was recognized for my hard work and dedication and was promoted to Assistant Vice President in 2016. To appreciate each day because it can change in the blink of an eye. Work hard, be yourself and have fun. We spend a great deal of time at our job and it’s what you make of it so make the best of it! Listen – there are a lot of intelligent people walking these halls. If you take the time to stop and listen to what they are saying, it’s amazing what you can learn. 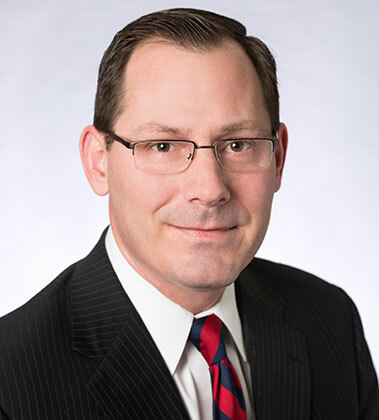 As Senior Vice President of Government Relations, Dan Wagner represents The Inland Real Estate Group of Companies, Inc. at the local, state and national level. 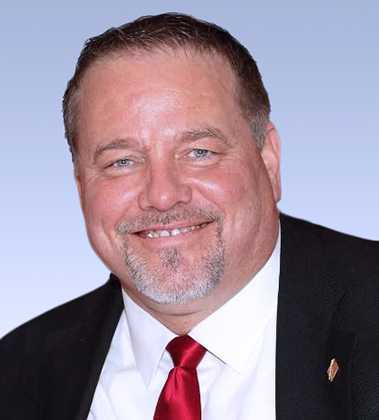 Throughout his 14 years with Inland, his greatest professional achievement has been making sure that the 1031 like-kind exchange for real estate was kept in the tax code. Dan reflects on his favorite memories and shares his advice from his tenure with Inland. Going to Northeastern Illinois University with Mr. Goodwin, who was the University’s Chairman of the Board, to settle the teacher strike. If the faculty didn’t go back to work the very next day then all the students would have to retake the semester. The teachers didn’t believe the University’s President when she said they didn’t have the resources. Mr. Goodwin met with the union and he saved the semester because he personally made up the shortfall and paid the difference for the next four years. The biggest challenge has been having triplets plus one, and when one of our triplets was diagnosed with autism. I immediately went to Mr. Goodwin and he said early intervention was the key for our son. Because of Mr. Goodwin’s advice, our son is a sophomore in high school taking all regular education classes and is a member of the golf team and plays violin in the orchestra! Looking at the humble background of Mr. Goodwin, Mr. Baum, Mr. Cosenza and Mr. Parks and knowing that if you stay true to your principles the good guys do win out in the end. Did you receive any awards, accolades, etc. during your career with Inland? Always follow the founders’ vision of doing the right thing because at the very core of Inland is ethics, as evidenced by Inland being the only real estate company to receive the Better Business Bureau Torch Award in Ethics three times. 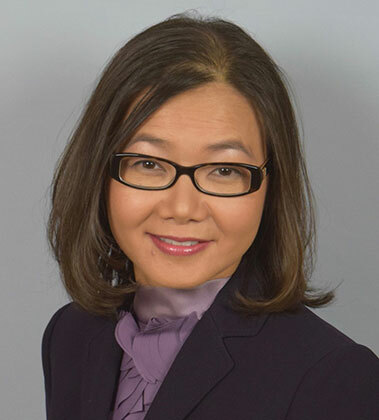 Throughout Judy Fu’s tenure with Inland, she has worked with various companies, including Inland Mortgage Capital (IMC), Inland Institutional Capital, LLC and Inland Real Estate Investment Corporation (IREIC). 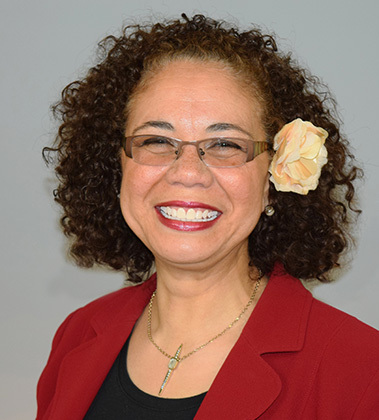 As Chief of Staff, Judy provides organizational support to the executive management team of IREIC and its subsidiaries, so they are better able to achieve the organization’s mission, strategic initiatives and financial objectives. She also meets regularly with members of the team to discuss current projects and initiatives, acts as a resource, evaluates where assistance is needed and brings together strategic partners to steer projects towards completion. Judy reflects on her 13 years with Inland and shares her favorite memories and advice. I have enjoyed the opportunity to work with and for various companies and executives at Inland. The exposure to the different businesses, groups of people and the knowledge and resources it has provided has been a great learning experience. There have been so many great times, both personally and professionally at Inland it is hard to pick just one. I would have to say my time spent with IMC during my early days at Inland – we were a very tight-knit group. I learned so much during those first few years and we also threw some great Halloween parties! Over the course of my tenure at Inland, I have held various roles within several companies. They all had different business plans and strategies. Learning what these companies do and how they achieve success is critical in understanding how your role fits in. By asking questions and being willing to jump in and take on something new, I was able to learn about and understand each business and eventually take on more responsibilities. Don’t be afraid to fail. It is the only way you are going to learn. If you make a mistake, own up to it, learn from it and move on. Many times, we really don’t know what we want to do, but as you go through life, it somehow becomes apparent what you are good at and what you enjoy. With a little time, perseverance and luck, you will find your niche. Get to know as many people from the various Inland companies as you can. Not only will you expand your friendships and internal resources, but it will enable you to gain a better understanding of Inland as a whole. Joe Zeffiro serves as a CAM (Common Area Maintenance) Accounting Supervisor for Inland Investment Real Estate Services, Inc. and is responsible for reviewing retail and multifamily tenant leases, general ledgers and code expense invoices, in addition to, posting necessary journal entries and preparing re-prorations with sellers per Post-Closing Agreements. He also prepares and reviews CAM and real estate tax reconciliations and researches and resolves tenant disputes. Joe shares his favorite memories from his 12 years with Inland. The people for sure – it’s a team environment and everyone has the same goals in mind. Our team is always there to pick up an individual during stressful situations. I have three. After a few months of starting at Inland, I was out sick for a day and came back to find that my entire desk was cleared out and everything was off the walls, there was just a note on my computer screen saying my supervisor wanted to see me. I guess it was an initiation prank to welcome me to the team – they had me pretty good! Another was when I won the basketball Pop and Shot Competition during an Inland picnic – all by luck because I’m pretty sure there were 50 MPH winds! My final favorite memory was being named the Ugly Christmas Sweater Winner three years in a row. If we ever do that again I have to start thinking about what I’ll wear 10 months in advance! When I was a collection analyst, I was the go to contact for one of our national pet store disputes. We received a $1 million check and I had to decipher how to divide the monies across all pertinent accounts, analyze account history and develop a process to resolve disputes and accounts in a timely manner moving forward. It was very rewarding to develop a terrific relationship with a major tenant to the point where we discussed more than business-related functions. After a few weeks of starting, the only other accountant was out for weeks with an injury. I was the only CAM accountant and I was just getting back into CAM. What made it a challenge was that I didn’t really know anyone yet so I had to develop relationships and learn on the fly. With the help of my co-workers, I was able to push through to get the most efficient outcome possible, which was very rewarding. 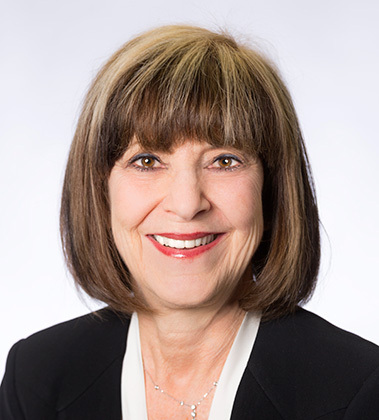 Frances Panico started at Inland in 1972 and held four positions throughout her career with Inland, with her greatest achievement being named as President of Inland Mortgage Servicing Corporation. Retired in 2016, Frances shares her favorite memories, achievements, lessons and advice for the next generation of Inlanders. I have a lot of favorite memories. One of them was the first time Inland made the newspaper in 1973. It was very exciting to see the company’s name in print for the first time. Additionally, in the early years we would have picnics and symposiums for Inland’s investors. The investors really liked talking to all of the staff and the fact that Inland employees worked at the picnics. The competitiveness among people. Even though we cannot all be stars, everyone makes a contribution to the success of a company when they do the best they can. You hear this all the time, but I do not think everyone believes it. You need to take pride in your own work and do not rely on others to tell you how good you are. Work hard when you are young, you may not have the energy when you get older. I received the Inland Lifetime Achievement Award in 2016, and I have it proudly hanging in my living room. I also received Inland pins for the milestone service award years. Do not feel bad about the mistakes you made in life and business. Learn from them and move on. If you have never made a mistake, count your blessings. What do you miss most about working at Inland? First the people, then the mental stimulation. In her six years with Inland, one of Caisey Schneider’s favorite memories with Inland’s founders was having her picture taken individually with all four of them during the five-year employee Service Award Recognition program. 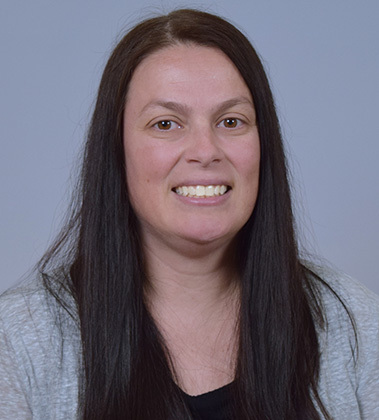 Responsible for printing, organizing and shipping Inland marketing materials, monthly distributions and ensuring all shipping and stationary supplies are in stock, Caisey has earned numerous awards in recognition of her hard work, dedication and excellence in her position. She shares more insights, memories and advice from her career. Inland is a family-oriented organization that is thoughtful of its employees and offers a good work-life balance. Employees are considerate of each other and work as a team. The family atmosphere that I have experienced here is hard to find in many companies today. When everyone in Inland Real Estate Investment Corporation, Inland Securities Corporation and Inland Private Capital Corporation contributed to my wedding and baby showers. The generosity was so overwhelming that it made me feel like my co-workers are family. Receiving one “You Made a Difference Award” and three “High Five Awards” during my short time with Inland. I received my first award within less than a year of working here. Be open to change and hard work really does pay off. To continue the core values of the company. Treat everyone with kindness and respect. 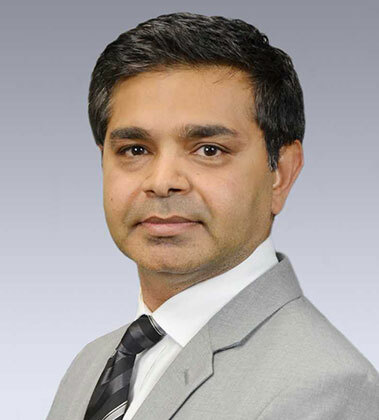 As Vice President of Technology, Sunder Pappu is responsible for leading project management and application development for the IT Department, while ensuring Inland’s technology strategy is aligned with businesses and that technologies are available to meet each entities’ unique business demands. He also engages with customers, partners and industry/technical forums to share and learn best practices. Sunder reflects on his seven years with Inland and shares his advice for the next generation of Inlanders. What I like most about my job is that it involves interacting with fellow Inlanders at all different levels of the organization and across all functional areas. I love that I get to learn new things about the company, different businesses and industries on a daily basis. There is nothing better than working with our businesses to solve a problem or to innovate and create something that differentiates them from their competition. The team that I work with has been able to deliver on various business projects that are helping Inland move forward. What made it notable for me was to align the technology team to work closely with each business, so we could deliver on a common goal. To date, we delivered on these projects on time and under budget, and have received numerous accolades, both internal and external (2016 CIO 100, 2016 Information Week and 2018 RealComm Digie Awards). Work hard and have fun. However, always remember that your family is just as important as your work. Your work will always be there when you return. Do you have any favorite memories with Inland’s founders? On my first day at Inland, I was greeted by Chairman and CEO, Dan Goodwin, who asked me where I worked. I told him that I work for the IT Department and that it was my first day. He then congratulated me on my new job and welcomed me to the Inland family. You could feel genuine warmth from Mr. Goodwin, who took the time to get to know me and shared his insight about the company amidst his busy schedule. During the course of my professional career, I’ve learned that the work we do should be all about impact, influence and inspiration. Impact involves getting results, influence is about spreading the passion for the work we do, and in the process inspiring your team and customers. 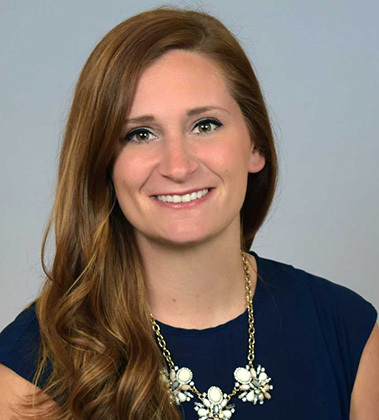 Madeline Kish joined Inland in 2016 as a digital content manager for Inland Real Estate Investment Corporation, where she is responsible for the day-to-day management of Inland Investments’ website and social media presence. She also directs photo and video shoots at newly acquired properties, creates digital marketing kits and distributes all email marketing materials and e-blasts. Here she shares her insights and favorite moments from her nearly two years with Inland. I really enjoy the team I work with; they are a great group and I look forward to coming to work each day. Everyone is so knowledgeable and willing to help one another, and we have a great team dynamic. My first week at Inland was the same as our annual, company-wide INFORM meeting. It is one of my favorite memories because I was able to meet so many welcoming people and learn about different areas of the company in such a short amount of time. It was a great welcome into Inland. My biggest challenge is still being somewhat new to the company and the industry. I was excited to begin working at Inland because the company has a great reputation in the industry and has a unique structure with a variety of business entities. Commercial real estate was also a new industry for me and I love being challenged to learn new things on a daily basis. I have felt so comfortable constantly asking questions, collaborating with various colleagues and being open to learning new things, which makes every day exciting, challenging and new. Who is the most famous person you’ve met while working at Inland? I met Bobby Hull at Inland’s annual “Jingle Mingle” holiday party. I still can’t believe how big his Stanley Cup championship ring is! 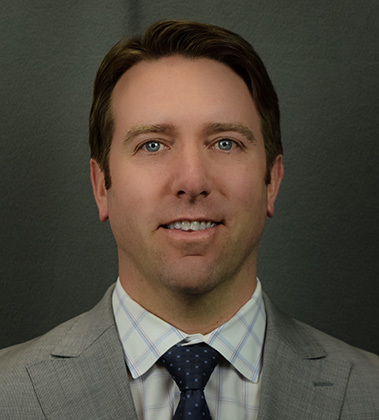 David Howat is vice president of development for Inland National Development Company, LLC (INDC) and is responsible for overseeing the acquisition and entitlement process for vacant land parcels throughout the Midwest with a focus on the Chicago metropolitan area. Here he shares his favorite memories, achievements and lessons from his 13 years with Inland. One of my favorite memories was working on a joint venture partnership with AIG Investments. The platform was a team effort that allowed me a deeper understanding of all of the necessary facets of an equity partnership of a development deal. While the partnership was ultimately successful, it would have been even more successful if not for the Great Recession of 2008. Instead of one specific achievement, I feel proud to have achieved a series of milestones in my career with Inland, accomplished through tenacity, perseverance and a willingness to learn something new every day. The culture of teaching that Inland’s principals have created provides a great foundation and atmosphere for questions and the pursuit of understanding and innovation. I had a level of uncertainty coming to work at Inland not having a real estate background. I quickly realized that everyone here is very willing to help each other and there is a culture of education that permeates the environment. My willingness to learn all that I can has allowed me to become quite comfortable communicating with our investors and their representatives even when the message is difficult or it pertains to previously uncharted territory that Inland is trailblazing. Don’t be afraid to stand up for your position as long as it is factually supported. My mentor and the president of INDC, Tony Casaccio, has taught and encouraged me to develop my own professional style, and respected that style as long as the information is supported and results are achieved. Be unwavering in doing what is right and not what is easy. If your core principles are strong, you almost look forward to challenges as a way to lead others through adversity to success. “Success isn’t final and failure isn’t fatal.” I’m borrowing that line, but Inland has taught me the applicability of the saying. 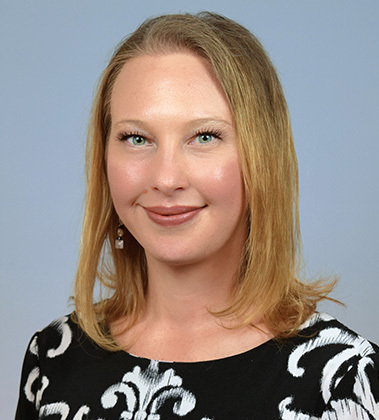 As an Investor Relations Specialist, Melissa Mayer is responsible for keeping Inland Private Capital Corporation’s investors and their advisors up-to-date on their investment properties. In her role, she must also stay educated on what is going on in the commercial real estate industry, especially in relation to 1031 exchanges. Melissa advises the next generation of Inlanders to “always be open to learning new things.” She reflects on her two years with Inland and shares more of her insights below. When I joined Inland, I did not have any real estate or investment experience. But due to the great culture of learning here, I have been able to become successful in my position. Use all your resources. People here are willing to teach you. Like the weather on any given day in Chicago, wait awhile and the situation will change. Just adjust and roll with the punches. Always put the investor first. In his 12-year career with Inland, Mark Cosenza has most enjoyed the family-like atmosphere and culture that makes Inland feel like a large “small” company. With teachers leading the charge, he believes that every employee has the ability to learn the right way to do business and every principals’ door is always open to bounce ideas or questions off them to better yourself and the business. Here, Mark shares his favorite memories, achievements and advice during his career. There are many favorite memories that I have, but the one that stands out was working with attorneys Gary Pechter and Charles Benvenuto on various contracts with sellers. Both attorneys specialized in working with “difficult” sellers, as Charles liked to say. What was special about both Gary and Charles is that when we would encounter a seller’s attorney who had to show he was the smartest in the room neither of them would take the bait and try to one-up the other guy. Their brilliance, agility and integrity were their hallmark traits, but what really set Gary and Charles apart as attorneys is that they were deal makers and did not let a small issue get in the way of the big picture or let a deal stagnate and die because of something that we could possibly overcome. However, they would fight for every single detail that I wanted in any contract until we either got it, knew it was time to work around it or give up on that item. That was their real genius and what made a lasting teaching impression on me for life. I believe they have instilled that culture into their younger protégé’s. A 19-property shopping center package from Macquarie and Regency, valued at $254 million, was not my largest deal but it is probably the best and most memorable deal I have ever landed. The grocery-anchored assets were bought just after the downturn at around 9.75% cap rates with some of the assets being on the west coast – many of which were in California. The owners of the properties were based in Australia, so our calls were late at night as they were 17 hours ahead of us. In the years following the Great Recession, the cap rates on those assets came way down and appreciated tremendously. It was a big win for the Inland REIT I negotiated the purchase on behalf of. The biggest challenge I face is the fact that I am tasked with the daily challenge of finding more quality product whether it be for one of our REITs or other Inland affiliate companies. With the current competition in the market, every day can seem harder than the next and you are only as good as your last deal. AND I LOVE IT! I very much enjoy this daily search and battle to find the next good deal. It’s the adrenaline pump that I chase every day. I was reminded recently that I used to get caught on Saturdays sleeping under my father’s desk at six years old, and now I have the honor of being a senior vice president. That is pretty cool. “Innovation.” If you are not innovating and constantly providing solutions to challenges, you will not survive. 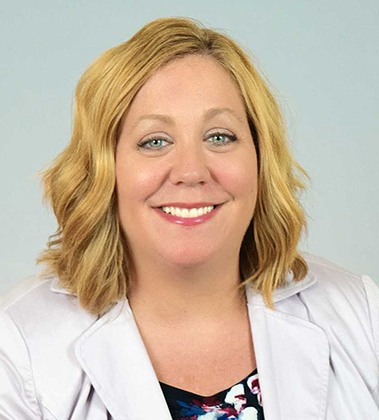 In her 14 years with Inland, Tiffany Hoffman has held a variety of positions with four different Inland member companies. Currently, as a commercial property manager with Inland Investment Real Estate Services, Inc., she is responsible for managing 2.65 million square feet of retail shopping centers and triple-net buildings located in the eastern United States. Below, she shares her favorite memories, advice and insights into her career with Inland. Halloween celebrations were always my favorite time of year. Our company would decorate our offices and cubes and compete against other departments and companies for the best decorations. And of course, dressing up and seeing all of the great costumes was a highlight. Especially seeing Joe Cosenza the year he dressed as a ghost! A few years ago, I made a personal move to California and had to start a new job and find a new home without having any friends or family nearby. I always kept my time at Inland in my mind and luckily found a property management position at a company with similar values and an employee culture as Inland. Ultimately, California wasn’t the place for me and I was thrilled to be able to move back to Chicago and reconnect with Inland. Overall, the entire experience made me stronger both professionally and personally. To never underestimate my courage and strength. In 2006 and 2010, I attended the International Council of Shopping Centers’ John T. Riordan School for Professional Development and received training and certification in the program’s Property Management Level I and II. Don’t burn bridges. There may be a time when you decide to follow a personal or professional path that leads you away from Inland, but maintaining those relationships and connections both professionally and personally can only help you no matter where your career leads you! A 32-year veteran of Inland, Richard Artman has an extensive knowledge of the various facets of the business due to the experience he has gained and positions he has held throughout the company. From his time as a leasing agent in the property management division to a real estate analyst and director of marketing for Inland Real Estate Development and Partnership Asset Sales and business team development for Inland Real Estate Investments, Richard’s favorite piece of advice ever received is, “Work hard and good things will come your way.” With his Inland Lifetime Achievement Award hanging proudly in his office, Richard shares more of his favorite memories, achievements and advice from his tenure at Inland. Working at Inland has given me a career that I can be proud of and has helped me and my family achieve so many of our dreams. I have many lifelong friends from Inland, and have been able to help so many people with their real estate needs. The time that I rented 50 apartments in just seven days in Indianapolis. Recently, I was named the Best Realtor in the Fox Valley by Shaw Media Readers for the second year in a row. I think the biggest problem was cutting through the corporate bureaucracy. I have helped to shape policies in many ways by asking why something could not be done a certain way, only to discover a better and more efficient way of getting it done. I have never been much of a “Yes” man. How to treat others who are less fortunate. Working in property management had a profound impact on my life and it taught me to be more charitable. Aside from the many personal memories I have with Mr. Goodwin, I used to really enjoy watching Dan Goodwin in the board room. His style and demeanor taught me a great deal about being in the board room. I once spent about 20 minutes alone with Walter Payton at an Inland event, as I was the person who was asked to bring him on stage. He was the nicest person you could ever hope to meet. Work hard, work smart and ask for your promotions. Take the initiative to let the boss know you want to do more. 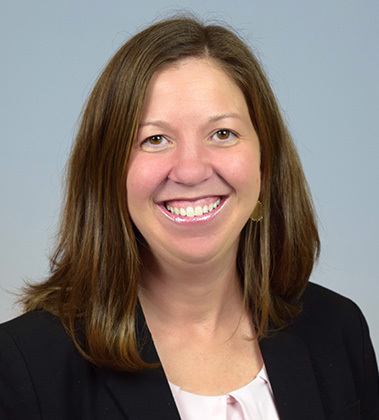 As the Senior Human Resources Generalist for Inland’s HR department, Erin Kobleski helps managers and employees solve issues through coaching, counseling and mediation. She also ensures Inland is compliant with federal and state employment laws and regulations and investigates employee grievances. She maintains the security of UltiPro and provides training to UltiPro users. Celebrating 15 years with Inland, she reflects on her favorite memories and shares her advice. I enjoy seeing how much the four founders care about the employees who work here. Most companies focus on the bottom line and cutting costs, but Inland has a family-oriented culture where people are truly valued for their hard work. I have so many memories with my fellow co-workers in HR. It may sound simple, but some of my favorite times are when we all eat lunch together as a group and share stories and laughs. I really enjoy their company and I am lucky to work with such a nice group of people. In 2010, I earned my MBA while continuing to work full time. The biggest challenge for me was all of the work that went into converting from ADP Payroll to Ultimate Software (UltiPro). Fortunately, we had an awesome project manager to help us and we implemented one module at a time. We faced a great deal of culture shock because there were many Inland employees who were not used to using an employee self-service system. We were able to overcome it by providing a lot of training and detailed communication. Be grateful for what you have and don’t take things for granted. Never expect opportunities to be handed to you. You have to apply yourself and take the initiative if you want to advance. Also, I hope that future leaders will continue to value Inland’s employees the way the four founders do. In just four and a half years with Inland, Agnes Jarosz has quickly excelled into a management position with Inland Green Capital, LLC (“IGC”), where she is responsible for managing, reconciling and analyzing a PACE portfolio containing over 1,000 residential and commercial properties located in various states. 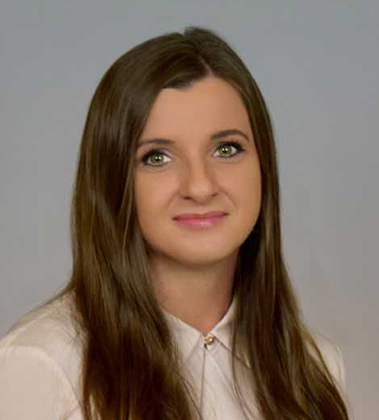 Agnes also oversees underwriting and presenting new financial prospects for investment, preparing portfolio financial reports and creating the annual organizational budget and monitoring cash flow for IGC. Here, she shares her favorite memories, accomplishments and advice from her career with Inland. I enjoy working for Inland because everyone shares the same vision and is dedicated to the Company’s mission. This truly generates a family environment where everybody is there for each other. One of my great memories at Inland was when I was hired by IGC. After being with IGC for only a few months, I knew this was the place for me, and it was a big step toward moving up within the Company. I dove right in, getting involved in creating the business plan for the Company and was part of the team that helped make the PACE program available in Illinois. It was a great accomplishment and by far one of my favorite memories! One of the hardest challenges I have ever faced was when I was working in my full-time job and attending school. When I started at Benedictine University, I faced hours of studying and homework. Fortunately, with determination and great time management skills, I was able to manage my personal and school time, all without affecting my professional life. In order for things to happen, we need to be persistent. We first plant, then we wait for it to grow, we take care of it during development and protect it when in bloom. Great things take time. Johnny Gonzalez started his 15-year career with Inland as an intern working 10 hours a week. Once he graduated college, Inland offered him a full-time job and the rest is history. Now as an Art Director, Johnny creates original graphic content for marketing materials, websites and social media pages for Inland’s various entities. While maintaining graphic consistency across deliverables, he develops artistic concepts with the art team and communicates with senior management to develop corporate branding that reflects the company’s core values. Johnny reflects on his time with Inland and shares his favorite memories. It would have to be my first summer picnic event at Inland when I participated in the dunk tank. Getting dunked didn’t turn out to be too bad, especially since we were able to raise money for charity. Finally being able to present projects to executives without being so nervous. I wasn’t much of a speaker/presenter but now I have the confidence thanks to the team around me. I would have to say that design itself is challenging. Keeping up with what’s out there in the design world and incorporating it to Inland’s culture isn’t as easy as some would think. Also, with design comes criticism, some are harsh and some are not. I’ve learned throughout the years to take criticism with an open mind. Criticism is a useful tool in design and helps build character. You can accomplish anything with hard work. Only you can decide how far you will go. That there is nothing wrong with change. Change is a good thing and we should embrace it. Throughout David Engelke’s 35 years with Inland, his favorite memory has been receiving the Inland Lifetime Achievement Award, which he has proudly displayed in his office. 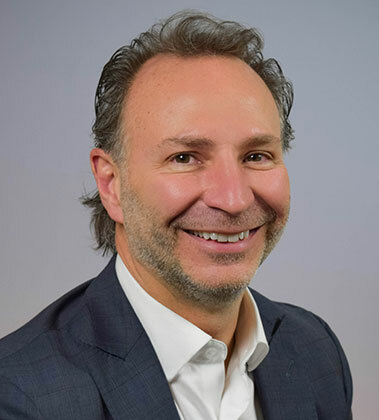 As Vice President of Residential Property Management, David supervises the maintenance and operations team, while overseeing Cap-X projects, immediate needs projects, value add projects and lender requirements for the residential portfolio, which spans 17 states. He reflects on his favorite memories and shares his advice. No question about this, it’s the people I work with – not only in my department, but across the Inland Campus, and most importantly, all the co-workers out in the field managing our apartments! Back in the day, we were managing more than 40,000 apartments. The biggest challenge for me was figuring out how to handle and satisfy resident and employee problems. I found the best way to accomplish this was to take a step back and put my feet in their shoes. Once I learned this, the answers to their problems would magically appear. We don’t manage apartments. We manage people. We manage residents, employees, contractors, vendors, etc. If you can manage people, you will be very successful at managing apartments. Also, you need to surround yourself with people smarter than you in many areas and then collaborate and work with those people to achieve your goals. There has to be a balancing scale with work and family. Helping raise my three wonderful children while working at a job that required a lot of hours made me realize early on how important it was to find that balance and make sure I was spending time with the most important people in my life – my family. I have a few: running a half marathon with Bob Parks, attending Joe Cosenza’s St. Joseph’s Day lunch and hearing his intercom holiday messages and listening to Dan Goodwin’s speeches, which have always been informative and inspirational. However, one of my most memorable memories is with Bob Baum. In 1999, my wife and I, by chance, bumped into Bob at a hot dog stand in Highland Park, Illinois. When I nervously asked him how things were going, he said he was getting a hot dog for lunch because his realtor was holding an open house at his home. My wife’s eyes lit up, and a couple of months later, we closed on his house and still live there today. Liana Wilson is celebrating 13 years with Inland this year. 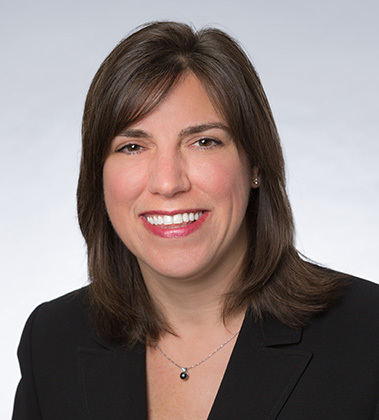 In her current role, Liana manages and ensures Inland Securities Corporation’s compliance with applicable regulatory requirements as mandated by the SEC, FINRA and individual state laws. 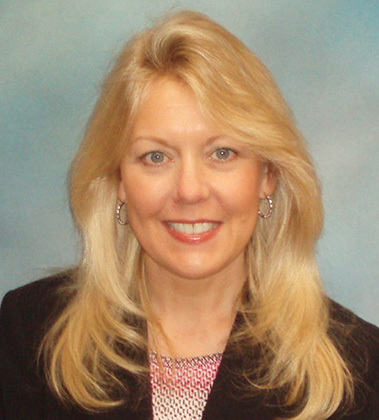 Throughout her tenure with Inland, Liana earned her MBA and three securities licenses. She shares her memories, achievements and advice below. The people – I have found Inlanders to be friendly, kind and intelligent. When I first started at Inland, I was working on communications and marketing materials for two REIT offerings simultaneously. One was closing and another was about to launch. It was challenging and I quickly learned about Inland, REIT offerings and securities advertising regulation. Using the securities advertising regulation knowledge and experience I gained while working in Inland Investments Marketing to transition to a Compliance position with Inland Securities Corporation. Keep learning and challenging yourself. Believe in yourself, be persistent, work hard and you will achieve your goals. Matching your skill set to an unmet need your company has is good for your career and the company. 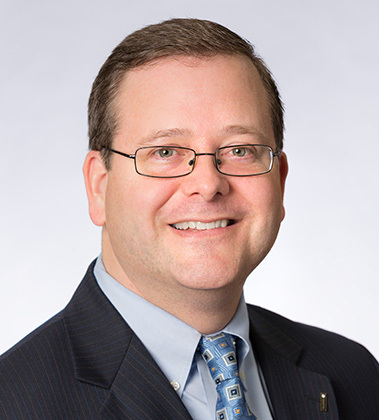 As Vice President and Associate Counsel in the Law Department, David Neboyskey is responsible for all legal aspects related to acquisitions and dispositions of commercial real estate and resolving legal issues related to the management of Inland’s properties. Below he shares the best advice he’s received and his favorite memories from his seven years at Inland. I have most enjoyed working with so many great people within the Law Department and throughout the various Inland companies. I have learned from some of the true trendsetters in the real estate business, and Inland is truly an enjoyable place to work. I have made many good friends during my time here. Everything that Gary Pechter, an Inland colleague that has sadly passed, taught me. Every day I try to honor his memory by performing at the highest level and always thinking of how my legal work will affect the business aspects of the deal. Be unwavering in doing what is right and not what is easy. Our company has been successful for 50 years because we are always thinking and anticipating new trends. We often deal with quite complicated transactions that do not have quick or easy answers. Facing those challenges has been the key to Inland’s success. Ask as many questions as you can. There is a wealth of knowledge inside these walls and everyone is excited to share their expertise. Always be eager to listen. 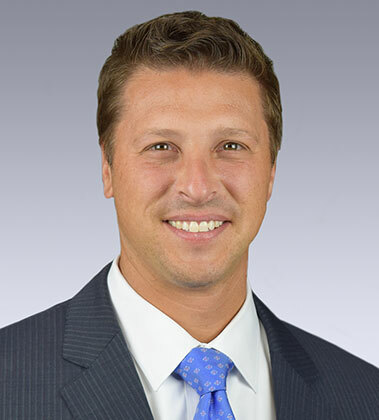 As Assistant Vice President of Leasing, Sean Steuart is responsible for leasing available space in Inland’s retail and office portfolios across the country. He approaches every leasing opportunity with the goal of maximizing the return on investment for each asset by securing and leasing to an effective and complementary tenant mix. Sean shares his advice and reflects on his six years with Inland. That everyone, regardless of their role, is approachable and is willing to make time for you. The time in White Plains, New York, when, at the end of a long day, we stopped in a karaoke bar and had our whole group (operations, due diligence, asset management, leasing, etc.) on stage belting out a Bon Jovi song. In my role, I travel throughout the year to various industry events and national conventions. While attending these events, it became quickly apparent how the Inland brand stood out compared to our competition. It is obvious that what Inland has created is one of the most recognized and respected names in the industry. To be a part of that is a great achievement. When you think you’ve fully immersed yourself while scouting a trade area, keep driving. What is the biggest life lesson you learned? Relationships rule. At the end of the day, what matters most are the people in our lives. That moves the needle or that doesn’t move the needle. 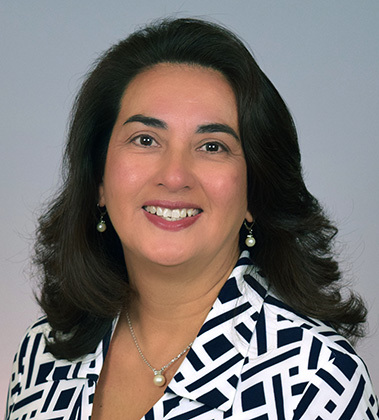 Brenda Gujral started at Inland in 1977 and held several top executive positions for Inland Private Capital Corporation (IPC), Inland Real Estate Investment Corporation and Inland Securities Corporation, and served as a director of many of Inland’s most successful funds, REITs and proprietary businesses during her 35 years with the Company. Retired in 2014, among her many accomplishments was leading IPC to record-setting years in 2013 and 2014 and her role as a founding member of Inland’s Women’s Initiative Network mentoring program. Brenda shares her favorite memories, achievements, lessons and advice for the next generation of Inlanders. My favorite memory during my career with Inland was the first time I was promoted to be an Officer of Inland Real Estate Investment Corporation in 1982. One of my greatest professional achievements has been being an example for women and showing that we can be leaders in our companies and in our industry. When I started my career with Inland, real estate was a male-dominated industry. One of the greatest challenges I faced was being accepted by the outside real estate world and throughout the industry as a woman leader. I never gave up and just kept working hard to overcome the obstacles. That PEOPLE are important and that it takes a TEAM for individual success. Every member of the team is important. Do you have any favorite memories of Inland’s founders? I have many memories of the founders and couldn’t narrow it down to just a few, so I will say that I will always remember Inland’s founders for their integrity, expertise, loyalty and frugality. They are leaders, educators, charitable and always encouraged individuality. The best accolades I received were the ones from individuals from whom I helped along the way. That you can be all you want to be, you just have to believe in yourself, learn all that you can, respect others and work hard. If you’re no longer at Inland, what do you miss most about working there? I miss all the people I worked with and the satisfaction of mentoring women and men. 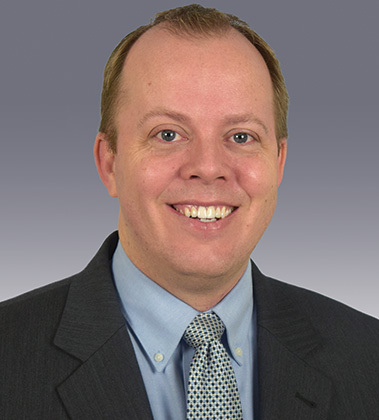 Responsible for all technologies related to infrastructure, including computers, networks, firewalls, file shares, application and database servers, automation technologies, end-user software, as well as the various technical teams that support these technologies, Klint Price has served as the vice president of IT infrastructure and security for three years. 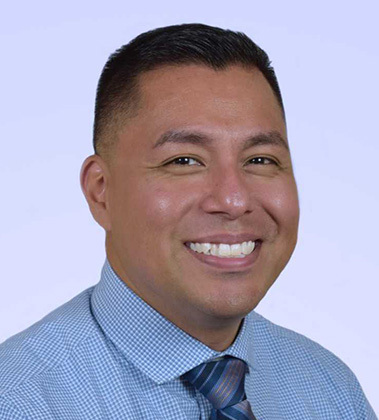 During his time with Inland, he has most enjoyed working with the talented staff who are driven to continuously improve their service offerings. I’ve enjoyed interacting with various business leaders, understanding their challenges, and working with my team to provide solutions to their challenges. My greatest professional achievement is developing a team with excellent soft skills and technical skills. My team has been a tremendous asset to Inland. By nature, people do not like change. However, change is an essential and very necessary part of doing business. Consensus building can be challenging but very rewarding. Look for opportunities to leave your mark in a positive manner and be a mentor to someone else. Have you received any awards during your career with Inland? Our team has been awarded the CIO 100 and InformationWeek Elite 100. These awards have put us above the majority of fortune 500 companies and among Fortune 50 companies. In her 28 years at Inland, Dione McConnell’s favorite “Inlandism” is that the investors always come first. Being on the investment side of the business, in which she is responsible for providing leadership and strategic direction to the investment operations team, she lives and breathes this motto every day. Below are more of Dione’s favorite memories, challenges and insights over the years. I have two favorite memories. One was the morning of the listing of IRC on the NYSE. The entire campus was buzzing that morning and employees packed the lunch room to watch the NYSE opening bell on TV. It was super exciting to see the IRC Board and Management Team on the podium at the NYSE. This was the first liquidity event for an Inland REIT and it was definitely a milestone in Inland’s history. I can still hear the bell ringing! My other favorite memory was working at the Inland Meeting & Exposition Center when it was the German Media Center for the 1994 World Cup in Chicago. All of the German media were stationed in the building. They held daily press conferences with the German soccer team, broadcasted live news feeds nightly for the prime time news and the German MTV station. There was also a free 24-hour McDonalds in the building and they served Bitburger Beer all day. (Although Inland employees were not allowed to drink the beer, we did have access to all-you-can-eat french fries!) It was very exciting to meet the German World Cup soccer players and to have such an integral role in an international sporting event. The successful sale of Inland Retail Real Estate Trust, Inc. (IRRETI) to DDR Corp. We worked long and hard through the due diligence process to provide all required records and information in regards to the sale of the company, while recalling over 75,000 investor stock certificates in a little over a month. This ensured that investors received prompt payment for the sale of their stock. Don’t be afraid to fail. Admit your mistakes and learn from them. If you are not making mistakes, you are not taking risks. Opportunities are earned not given. I encourage all employees to come to work and give it your all. When you do your best and have a strong work ethic, it will be recognized and afford you future opportunities. During his 22-year-long tenure, Mark Pikus has most enjoyed Inland’s family culture and Vice Chairman Joe Cosenza’s pre-holiday motivational announcements over the intercom. 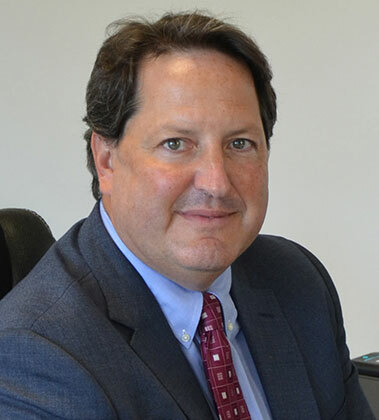 As president of Inland Green Capital, LLC, Mark is responsible for its overall business direction, which includes overseeing PACE project investments, capital markets and legislative affairs. Below, Mark shares his memories and advice. Watching Inland ring the bell on the floor of the New York Stock Exchange for IRC (Inland’s first REIT). I thought it was one of those moments that culminated the success, hard work and integrity that Inland deserved. The best business advice I’ve received is to treat your career as if it’s a marathon. Work on making the right choice and not the easier or popular choice. The right choices will pay dividends later on. To not listen to those that tell you “it can’t be done.” If you believe in something strong enough, and have the passion to see it through, then keep trying. I really enjoyed something that Bob Baum, Vice Chairman, consistently said at staff meetings – Inland’s balance sheet has an intangible benefit due to the long-term tenure of its employees. That Inland has always reinvented itself to adapt to the changing markets. It’s important to stay engaged and feel confident to offer up your ideas. As the Benefits Manager for Inland’s HR department, Mary Borfitz is responsible for the administration of employee benefit programs including 401k, medical, dental, vision, life and disability. Mary, who was nominated twice by her peers to receive a G.E.M. award for “Going the Extra Mile” and providing exemplary customer service, shares her favorite memories and advice from her 11 years with Inland. Working with the staff. We have a diverse team that we serve with many different needs – it keeps our jobs interesting and always changing. Also, because my team works directly with benefits and disability, we have an opportunity to get to know staff members more intimately and I really like that. I remember being very surprised by the candidness of the company when I attended my first staff meeting. It was refreshing to see that Inland was very open about the state of the company. My greatest challenge when joining Inland was understanding the company structure. I was so overwhelmed the first few months that I truly thought, “I am never going to understand this.” Just to complicate things a bit more, 10 years ago, the Human Resource staff used both company acronyms and payroll codes from ADP when referring to a company. I felt like everyone was speaking a different language that I clearly didn’t understand. What matters most in life are the people in our lives. I am reminded daily that I am fortunate to be surrounded by wonderful people in both my personal and professional life. “Built to Last.” It’s one of my favorite Inlandisms because I feel it speaks to our investors as well as our employees. I would recommend that they embrace change because the Company is evolving. Change can be good but I also like the fact that Inland has worked hard at retaining its old philosophical values. The old with the new is a good balance. 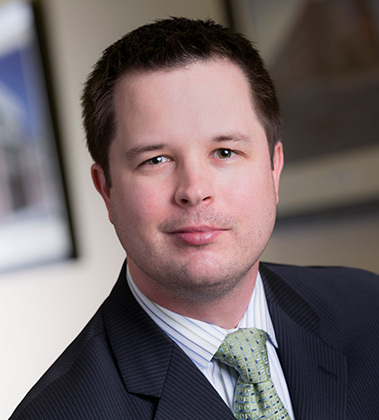 As Assistant Vice President of Due Diligence, Pierre McKinnie evaluates various acquisitions for Inland Real Estate Investment Corporation. Throughout his 20-year tenure with Inland, the biggest life lesson he’s learned is to stay humble and treat everyone with respect. Pierre shares his memories and advice below. Without a doubt, I most enjoy the Inland family. My co-workers across the Inland campus and supervisors provide an enjoyable work environment. It’s a pleasure to come to work every day. My greatest professional achievement has been working my way up the corporate ladder at Inland. I started out managing/leasing residential properties and now I have the privilege of serving as an officer of Inland and meeting with top executives as we evaluate acquisitions for the company. It’s okay to not have the answer to every question, but to listen and learn from the ones that came before you. Try to be a better you than you were the day before. While reviewing a deal with Joe Cosenza, he stopped to share some of his personal history with me about his father and the barber’s chair in his office. Sitting with Dan Goodwin after an all-staff meeting drinking ginger ale (on the rocks), he told me several entertaining stories about his fishing trips and the history of Inland. Bob Baum always makes it a habit of stopping to give me words of encouragement. Soon after my mom passed, his encouraging words came on the day I needed it most. I have met Otis Wilson. While stuck in the airport as I returned from a site visit, I had a long conversation with the guy sitting next to me - Spike Lee. Extend a hand and encourage the next person. Rod Curtis is responsible for research and product development at Inland, a role he has enjoyed for six years that has evolved over that course of time. Here, he shares his favorite memories, best advice and greatest professional achievements during his career. I enjoy the collegiality of the Inland environment and the ability to interact with people from all different disciplines. We have people with deep expertise in a variety of fields -acquisitions, due diligence, property management, finance, accounting, law, risk, insurance, banking and securities underwriting - and being able to interact, collaborate and learn from each of them is very rewarding. I was part of a small team that traveled with Dan Goodwin to Washington, D.C. to call on members and leaders in Congress and to make a presentation to all REIT executives at a NAREIT function. The purpose of the trip was to influence lawmakers and the industry as a whole to make beneficial changes for our industry. Mr. Goodwin gave one of the most impassioned speeches to all of the industry executives. Every Inlander would have been extremely proud to see the reaction by lawmakers and industry executives to what he was saying and how he was saying it. Work through the challenging times. The principals of Inland have a long history of supporting people and providing challenging opportunities. Additionally, there are a lot of creative people at Inland allowing the company to continue to adapt and grow in challenging business environments. 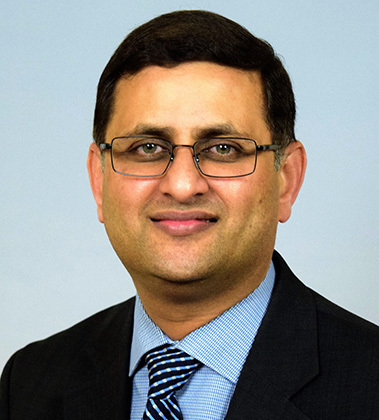 As Chief Accounting Officer, Prashant Bodhanwala is responsible for overseeing the preparation of the consolidated financials for The Inland Real Estate Group, LLC. 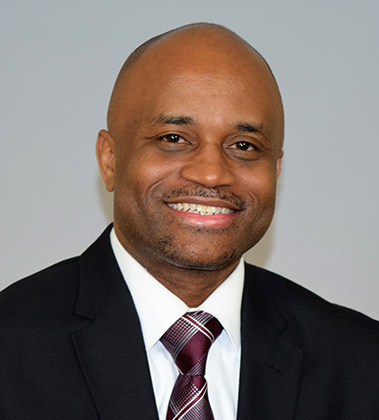 In his two years in his position, some of his favorite memories include board meetings where valuable knowledge is shared between Inland’s principals and the executive management teams. See below for more insights into Prashant’s experience working at Inland. I really enjoy the close-knit family culture. To obtain the position that I have currently reached, with such an admired and reputable company as Inland. Although my natural demeanor is more quiet than those of my peers, I have learned that my confidence and strong work ethic really shines through the high quality work I produce and superior service that I offer clients and colleagues. When performing any task, perform it in a way that is ethical and to the benefit of the company and yourself. In her 14 years (and counting!) with Inland, Tracy Le has most enjoyed the relationships she has developed over the years, the mutual respect and goals that all employees want to achieve to make the company great. As a proud representative of Inland, Tracy oversees the day-to-day operations of the property tax group and Inland clients’ property taxes which include real estate and tangible personal property tax filings, appeals, assessment negotiations, audits, multi-state property tax compliance, tax projections and pre-acquisition tax due diligence. How many positions have you held at Inland? I have held four positions: Real Estate Tax Due Diligence, AVP – Tax Reduction, Vice President Due Diligence & Tax Reduction and currently, President, Inland Property Tax Services, LLC. Receiving my Certified Member of the Institute (CMI) Designation. CMI is the highest level of professional achievement in business property taxation and is a mark of professional distinction in the field. I am especially thankful to Inland’s management team for supporting my pursuit of the CMI designation. We are a very small group of dedicated individuals who always work tirelessly on due diligence, property tax appeals and compliance matters. There have been challenges (volume of work, staffing changes, etc.) but I believe in educating and keeping my team motivated. I’ve committed quite a bit of time to coaching my team, defining skills and responsibilities, providing cross training to increase their effectiveness, all while motivating an enjoyable work environment. When it’s 5 p.m., and most of the company is on its way out the door, my team is still working hard and having fun at the same time. Open your arms to change but never let go of your values. You have to start giving first and expect absolutely nothing. Never blame anyone in your life. Good people give you happiness, bad people give you experience. Worst people give you a lesson and best people give you memories. Learn this company’s journey and how they built this foundation to what it is now. I guarantee you will go far with hard work and perseverance. Looking at the number of employees and their years of service speaks volumes. Be the best at what you do - do everything to the best of your ability because, when you do your job well, it makes you invaluable to those around you. Be reliable - nothing will get you further in your career than a reputation for being reliable. Be the person that everyone can count on to get the job done; sometimes being reliable will mean that you have to put in a few extra hours to make it happen. It requires commitment and hard work. 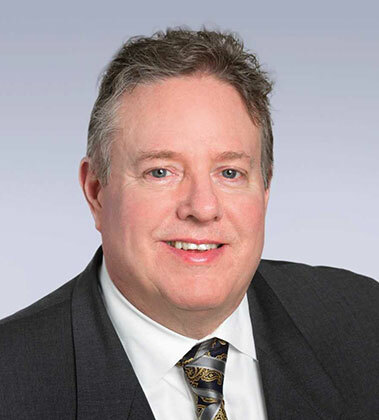 In Larry Sajdak’s 17 years at Inland, his favorite memory that stands out above the rest was a champagne toast with Inland’s Chairman and CEO, Dan Goodwin, and other employees following the successful sale of four Oak Brook International office buildings located next door to Inland’s main office. 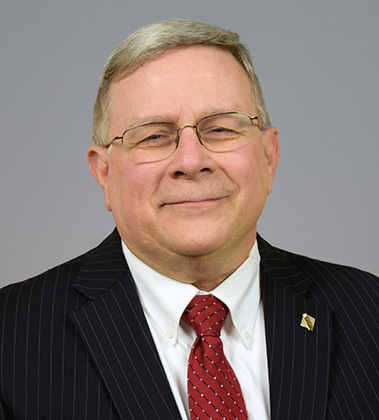 Responsible for all functions related to leasing, marketing and lease administration for the management company handling the day-to-day operations across Inland’s commercial asset portfolio, Larry shares more of his insights, advice and accomplishments below. My ability to grow. I started at Inland part-time while in college and was able to work my way up from a bookkeeper to my role today as an executive vice president. I don’t believe there are a lot of companies that still allow for that kind of growth within the same organization these days. Being able to conquer my fear of public speaking. Similar to conquering my fear of public speaking, my biggest challenge was presenting at one of Inland’s General Staff Meetings to an audience of over 700 employees, executives and the founders of the company. Every speech and presentation following that just felt easier. It’s true that the more you take advantage of public speaking opportunities, the easier it gets. Know when you’ve made the sale. Don’t try to oversell and know when to stop talking. Have you received any accolades or awards during your career with Inland? Yes, I was named a “40 Under 40 Rising Star” in Chain Store Age magazine in January 2007, was named one of the May 2013 “Stars to Watch” in Commercial Property Executive magazine, was honored as a “Tomorrow’s Leaders of Retail” in the May 2014 issue of Real Estate Forum magazine and was recognized as one of “Real Estate’s 10 under 40” in Chain Store Age in May 2014. Take initiative. No one else is going to figure it out for you. Bobbi Matlin’s favorite memory from her 33 years with Inland has been making wonderful, lifelong friendships with her co-workers who have now become “family.” In her current role, Bobbi serves as an officer and administrator of Inland’s REITs and works directly with the Chairman and CEO of Inland, Dan Goodwin, on projects. 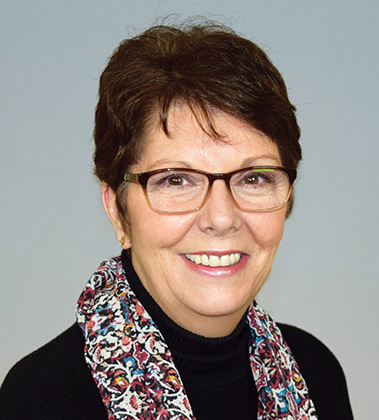 Bobbi, who keeps her Lifetime Achievement Award in a special place in her home, shares her advice and reflects on her time at Inland. It is a great learning experience. Every day brings new challenges that are met with doing the right thing, which has been Inland’s culture since day one. Taking a chance – on both Inland and myself – by moving into an industry that I had no knowledge of, and through hard work and making valuable contributions being able to advance my career. I am also proud of being one of the founders of Inland’s Women’s Initiative Network, which provides educational sessions and mentoring opportunities for women employees. Where there is a “will” there is a “way” to accomplish your goals by doing the right thing and doing it professionally. Treat people, regardless of their station in life, in the manner in which you want to be treated. Being in New York for the listing of IRC (Inland’s first REIT) and watching the founders “glow” as the NYSE bell was rung. Coming up with the most viable solution that Inland could provide, within its control, to ensure that investors were not hurt during the 1986 Tax Reform and in the 2008/2009 recession. Seeing how emotional the founders were at the first Lifetime Achievement Award Luncheon as they thanked all the employees for their contributions to make Inland what it is today. Celebrating five years with Inland in 2018, Andrew Baird recalls one of his favorite moments and memories with Inland’s founders is anytime when Dan Goodwin, chairman and CEO, starts a discussion with “Andrew will tell me how I am wrong.” Responsible for fund modeling and projections, Andrew knows those moments are all in good fun and they always make him chuckle. He shares more of his favorite moments, insights and achievements below. Inland has in many ways retained its “family owned” business mentality, which allows its employees to approach situations with greater flexibility and creativity than a more institutional company that is very structured and rigid. This allows employees the latitude to develop creative ways of problem solving. Developing/structuring a new REIT during a time of great change within the non-traded REIT industry. Though it was very challenging to anticipate what the market would want and to structure a product during this time, it led to many passionate debates highlighting many different opinions and the recognition of the importance to get it right. Though not an achievement per se, I think the trust I have earned with the various Inland executives would be my greatest professional achievement. Through strong financial analysis and modeling, I am entrusted by the executive team with taking any data and coming back with the correct answer. I was once advised that I should always question something when it doesn’t make sense as it will either lead to a more refined explanation or help identify an issue. Let the facts craft the story rather than the story craft the facts. Don’t be afraid to share a differing opinion. 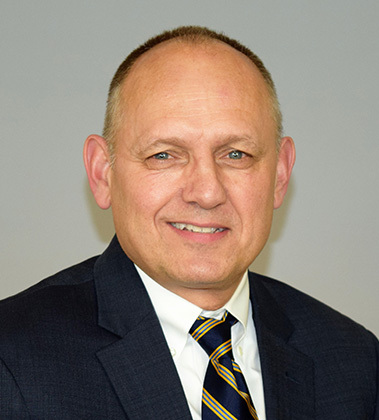 Art Rendak oversees all aspects of the bridge lending program that is being operated by Inland Mortgage Capital, LLC. Throughout his 17 years with the Company, he has had many fond memories like the old Inland Halloween parties and the time he met former President George W. Bush. Art reflects on his time spent at Inland and shares his insight and advice below. I have thoroughly enjoyed the opportunities it has afforded me to learn about commercial real estate, particularly from an owner’s perspective. As a former banker, the perspective is significantly different from the “other side of the desk.” Of course, I have also met some great people here. Probably keeping the Mortgage Company from collapsing after the recession started. Working with all 13 of the banks that were participants on our line of credit and ultimately paying the line off in full was not an easy task. I don’t think the odds were too high that we were going to be able to do that, but we managed and I am very proud to say that we were able to pay all the creditors in full. I hope I can answer this question differently in a few years when the new program is achieving the success we are working towards. Don’t get too excited about the successes or too down about the non-successes. Also, I believe that the harder I work, the luckier I get. I don’t know if there was a particular phrase but instead, more of a mentor’s actions that I took to heart. I think preparation and knowledge of the subject matter are critical when negotiating a deal. I also think treating people fairly and being honest and straightforward has served me well. I would suggest that the core value that the company espouses, “integrity” be taken to heart. In addition, I strongly suggest that the next generation find a mentor that will “show you the ropes.” Lastly, learn the business from the ground up. For example, read a lease cover to cover (and abstract it), go over a survey and title policy with an attorney, listen to the lawyers and the deal makers and learn all you can about what you are doing – the real estate business is nuanced and the more knowledge you have the better off you will be. 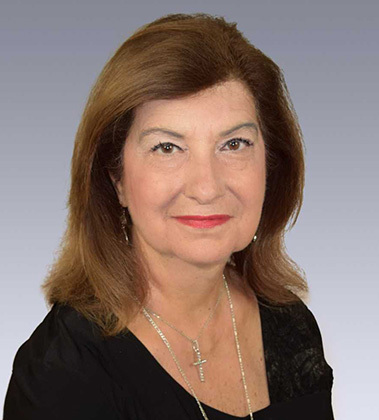 As a 23-year veteran of Inland Real Estate Investment Corporation’s (IREIC) asset management team where she oversees the asset management of the multifamily portfolio, IREIC Legacy private limited partnerships and public funds, Lupe Griffin has enjoyed the abundant growth opportunities, both personally and professionally, Inland has offered. 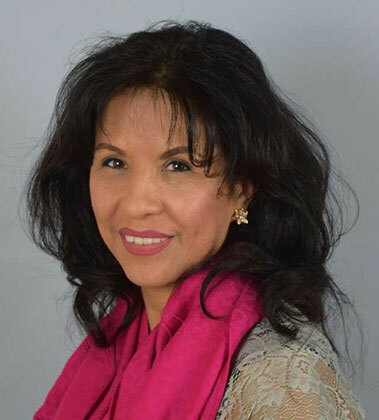 From developing long-lasting friendships with many of her colleagues to experiencing success in managing a variety of real estate assets, Lupe shares her favorite Inland memories and advice for the next generation below. Early on in my career when I was originally promoted to the role of asset manager, some individuals expressed their concerns that I would not succeed because of my lack of experience. My supervisor went to bat for me and told me I was given a year to prove my worth. There is nothing more motivating then being told you can’t do something. With hard work, perseverance, lots of “on the job training” and encouragement from several mentors, I mastered each task given to me, allowing me to climb the Inland corporate ladder. I’ve received a lot of valuable advice, but the best advice I received was from Mark Zalatoris, former CEO of IRC, (Inland’s first REIT). After the birth of my first son, Mark said, “Remember, just when you think you’ve settled into a schedule it will change.” While the advice came after I rejoiced about the fact that my infant son was sleeping through the night, I quickly realized that Mark’s advice extended beyond my son’s sleeping schedule. In life, as well as in business, all things change. If you stay prepared, change becomes a welcome event. Attending group outings to Sox games, which included Bob Baum, having Bob Parks as a guest at my wedding where he and all my Inland friends danced the night away with my husband and me and enjoying numerous conversations with Dan Goodwin that turned into learning opportunities. However, one of my all-time favorite memories is how my unborn son, Nate, would respond to the sound of Joe Cosenza’s voice during meetings. Medical experts say unborn babies recognize the voice of their parents and other significant individuals they may hear while in their mother’s womb. As I was further along in my pregnancy, I would attend board meetings and like clock-work, as soon as Joe would begin to speak, my baby would move around in my belly like a fish out of water. I was so mesmerized by the baby’s movement that I would find myself looking forward to the next meeting with Joe. I recently shared this story with Joe who had no clue he had that effect on my son. I’ve met Bobby Hull, Dan Hampton, Steve McMichael, Otis Wilson and have also had regular conversations with members of the Rahal auto racing family, Tommy “Hit-Man” Hearns and Jesse Barfield. At the end of each day, take a step back and ask yourself, “What did I learn today?” If you can pinpoint one new thing – and this is not just limited to work or your career – then consider it a productive day. 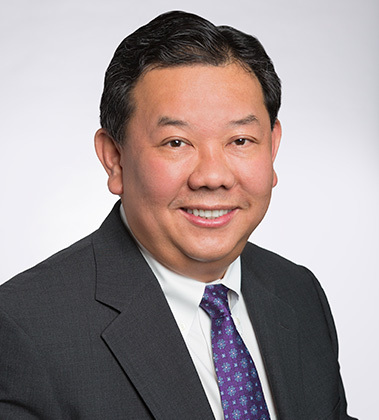 Approaching his fourth year as Chief Information Officer at The Inland Real Estate Group, LLC, Chong Huan is responsible for overseeing the Company’s technology strategy, implementation and services to the various Inland member companies. 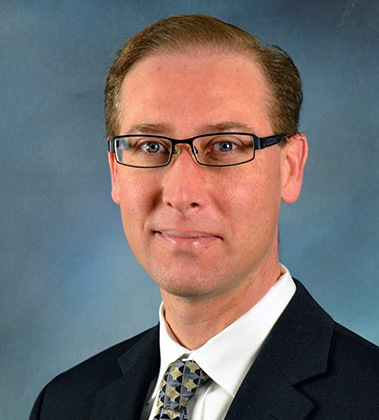 His staff handles the IT infrastructure, architecture, application development, digital transformation, cybersecurity and information management for more than 1,000 Inland employees. Below, Chong shares what he enjoys most about working at Inland and his achievements over the years. Inland is a strong and reputable company with a great track record and a culture where all employees are dedicated to the success of the company. One of my greatest achievements has been moving and upgrading Inland’s IT technology and services to the cloud. Additionally, I’m proud of the effort my team has made to focus more and enable business initiatives through technology. For example, we have adopted the use of SalesForce, a responsive website, mobile capabilities and real-time analytics that employees can access via an easy-to-use dashboard for quick reference when in meetings or making strategic business decisions. When I joined Inland, I learned that certain pockets of the business were a bit resistant to change. By providing better communication and transparency through IT governance meetings with leadership and various business executives, a clear billing process, surveys and regular meetings on project statuses, I was able to create trust among those companies and executives to update and upgrade the IT technology services for those companies. Yes, I was named one of ComputerWorld’s 2017 “Premier 100 IT Leaders,” and Inland’s IT department was named to the CIO “100 Awards” and the InformationWeek “Elite 100” in 2016. In Cathy Lynch’s 28 years at Inland, she has most enjoyed the people and the collaborative atmosphere the Company offers. 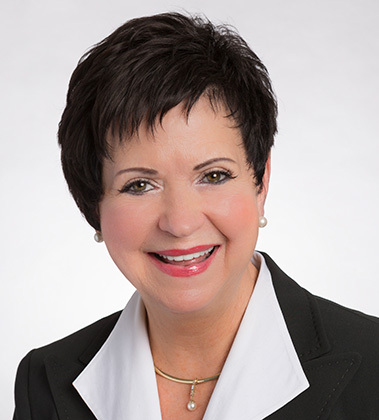 Currently responsible for overseeing the financial divisions of Inland Real Estate Investment Corporation, Inland Securities Corporation, Inland Real Estate Income Trust, Inc., Inland Residential Properties Trust, Inc. and InPoint Commercial Real Estate Income, Inc., Cathy shares the following insights, memories and achievements she’s accomplished at Inland over the years. Being the first woman and first non-founder on the Board of Directors for The Inland Real Estate Group, LLC. I’d say trying to raise four children while managing a demanding career. Fortunately, I have a very supportive and helpful husband and had a fantastic caregiver, but it was the flexibility here at Inland that allowed me the freedom, without guilt, to handle any emergencies that arose on the home front without jeopardizing my job. That you need to create balance in your life. Whether it’s spending time with family or friends, participating in sports, volunteering, or enjoying a hobby, creating balance in your life can prevent you from burning out and will make you a well-rounded, interesting, and ultimately, more productive employee. Don’t be afraid to take a risk. All too often, we can become too comfortable and complacent in our positions at work. True career growth, however, comes from increased responsibilities and challenges. When those opportunities arise, have confidence in yourself and don’t be afraid to take on those challenges in order to advance in your career.